In this issue: How Jewish women answer the calls of paganism, witchcraft and pre-Judaic female symbols. Lilith discusses Palestinian women working for peace and what their hopes are. 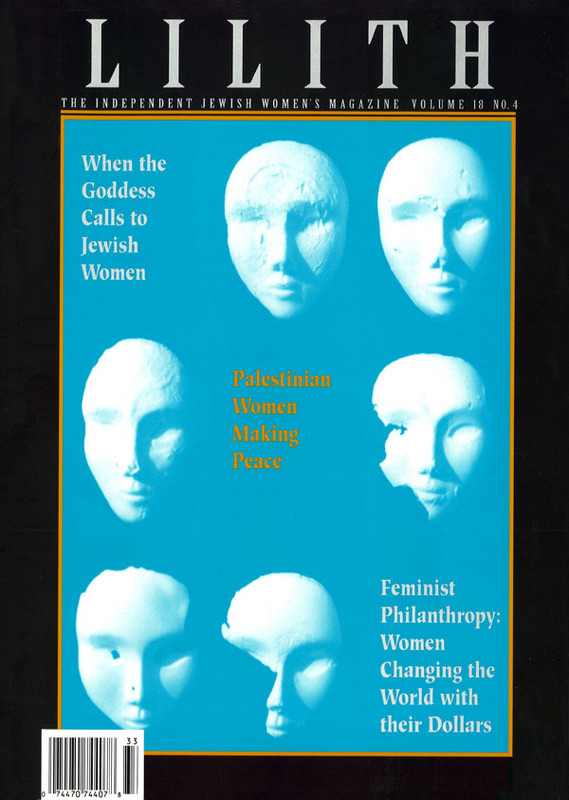 Susan Weidman Schneider highlights feminist philanthropists putting tzedakah where their personal politics are. A photo essay of how women in present-day Turkey honor their Sephardi heritage. As Jews we’ve been taught to shun paganism, amulets, and "false" gods. But what about the pull of goddess imagery, witches, and pre-Judaic earth-centered female symbols that call to such women as Margo Adler, Starhawk and ...maybe you? All charitable giving intends to change the world. But the female philanthropists profiled here really want to shake things up, and they’re putting their tzedakah right where their personal politics are. After last season’s historic handshake, and press coverage of Middle Eastern men, Lilith asks: Who are the Palestinian women working for peace? What are their hopes? A bowl of oil, specials foods, and ancient rites. In present-day Istanbul and Izmir, women from Sephardi families still honor their past. Lot’s daughter tells her autobiographical tale of Sodom—-one that is clarifying, frightening and courageous. Rachel Kadish on "Change within Tradition Among Jewish Women in Libya"
Rachel Kadish on "Writing Women's Worlds: Bedouin Stories"
Rachel Kadish on "Images of Women: the Portrayal of Women in Photography of the Middle East"
Sara Nuss-Galles on "Fire with Fire: The New Female Power and How It Will Change the 21st Century"